Tempo, by Robert Kaufmann. 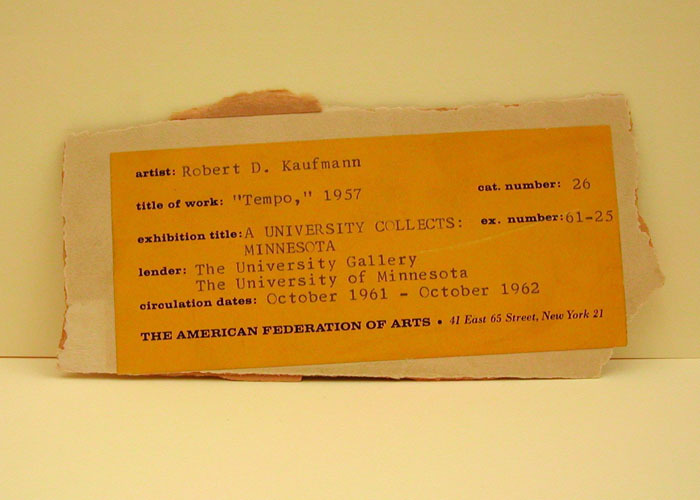 This label was included with the work as part of the traveling exhibit, “A University Collects: Minnesota,” comprised of works from the University Gallery collection that was circulated by The American Federation of Arts in 1961-1962. (The Dutchman’s), by Cameron Booth. 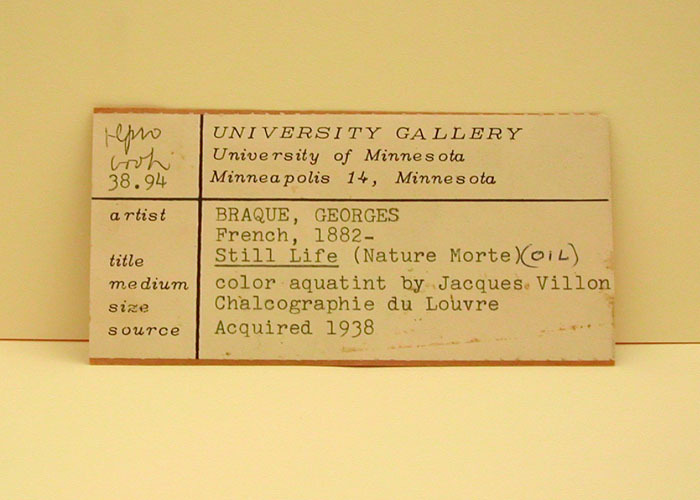 This work, which is now part of WAM’s permanent collection, is identified by this label as a loan from the collection of H.D. Walker. 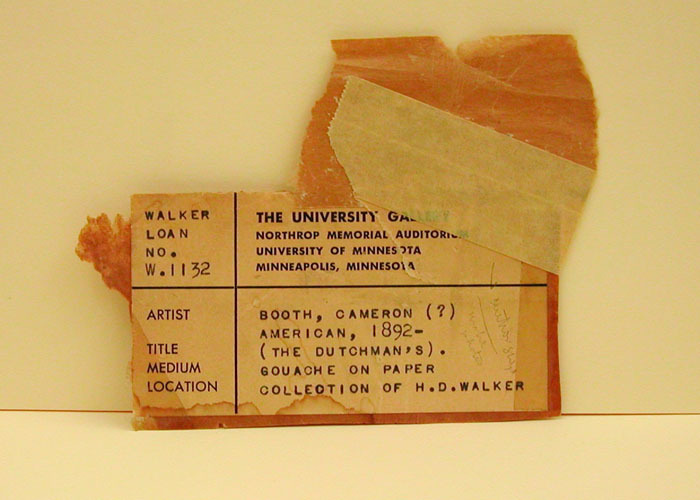 Hudson Dean Walker’s art collection was donated as a bequest to the University after his death in 1976. 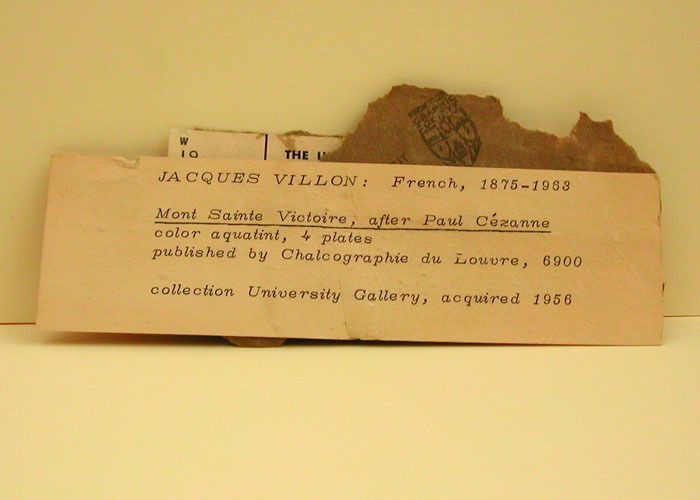 Many of the works in his collection were placed on loan to the University as early as 1950.